A more accurate title for this story could be “I Tried the Activated Charcoal Hangover Pill Everyone Is Talking About and Forced 4 of My Friends/Roommates on a Bachelorette Weekend to Take It With Me.” But I suppose that’s a little lengthy—true, but lengthy. Charcoal has been one of the hottest skincare ingredients in recent years (fighting acne and dullness like no other) and its detoxifying powers aren’t limited to the skin. 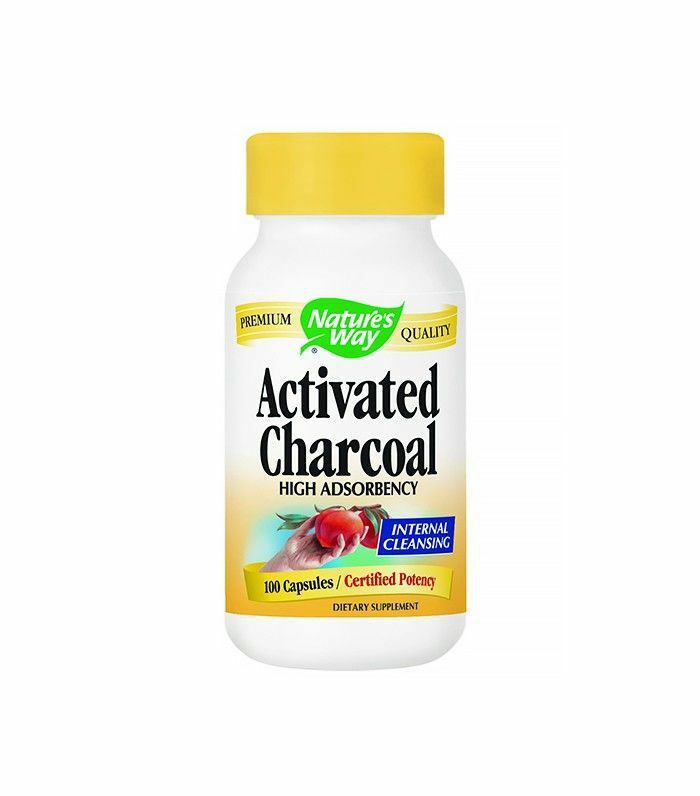 Activated charcoal’s list of accomplishments reads as follows: It whitens teeth, cleans your hair, promotes a healthy digestive tract, detoxes your face, and more. High on the “and more” list for me is hangover prevention. So I went to Whole Foods (where I bought chlorophyll drops because I’m that trendy), picked up a bottle of activated charcoal pills to *hopefully* cure an upcoming and inevitable hangover, and put them to the highest test possible: a bachelorette weekend in Vegas. Keep reading to find out how I fared. So while the activated charcoal pill won’t absorb the alcohol or prevent you from getting tipsy (a win or lose depending on how you look at it), an activated charcoal hangover pill may be able to carry the bad stuff out sooner. Intriguing. I’ve heard of people taking up to six charcoal pills at a time. The directions, however, said to take two, so I did. Feeling guilty at the possibility of waking up feeling fresh as a daisy and leaving my friends in post–club night agony—and also wanting to expand my experiment’s sample size—I offered them to my roommates for the weekend. The activated charcoal hangover pills don’t taste bad. They don’t smell like anything. They’re smaller than your average multivitamin. All in all, no complaints so far. Well, one complaint: They can leave ash on your hand. The festivities carried on as afternoon turned into evening and evening turned into late night. Needless to say, we celebrated our bachelorette very well. While my roommates and I may have been a little late to boozy brunch round two, I attribute that to my usually long skincare routine and inability to dress for the weather (sandals on bottom and fur on top—good look, no? ), not to an insistence on staying in bed. Making my rounds at brunch, it was clear that Room 5802 was in much better shape than at least half of our party. Some had tales of late-night/early-morning trips to the restroom. Others were simultaneously drinking ice water, Diet Coke, and coffee while refusing to remove their sunglasses. I, on the other hand, enthusiastically ordered a Bellini (“bottomless, please”). As someone who rarely wakes up from a night of drinking without some sort of headache, I was pleasantly surprised at how normal I felt. Perhaps it was placebo effect, but I was already starting to believe in the activated charcoal hangover pills. But my experiment wasn’t over: We still had 24 more hours in Vegas, so I decided to embark on day two of my hangover prevention experiment. Day two’s activities were a bit tamer than day one’s, though I suspect our total alcohol intake was the same if not more because we spent a longer period of time drinking on day two. And it’s not like I spent this weekend sipping vodka sodas. We’re talking sugary mimosas and cocktails with names like the Clooney Mule and So-Dang-Good (it was so dang good, BTW). It’s fair to say I put these little black pills to the ultimate test. The next morning was admittedly slower-moving than the previous one. But I felt more tired than hungover. After two late nights in a row, my grandma body that’s used to going to sleep at 9:30 p.m. was worn out. The remaining partygoers—who, for better or for worse, were on late-afternoon flights—ventured out for one final meal. You may think after 48 hours of Vegas-ing, we all would be repulsed by the sight of alcohol, but alas, no. Our final meal consisted of five rounds of mimosas (the best ratio of the weekend), and some of us may or may not have continued to drink that afternoon. Now, I’m not claiming to have felt 100% the next day back at work. But again, I was exhausted more than anything else. I can honestly say I never felt hungover all weekend. I consulted the other participants in the experiment, and they came to the same conclusion: Activated charcoal pills work when it comes to hangover prevention. Full disclosure: I feel it’s my duty to tell you that if you google “activated charcoal pills for hangovers,” you won’t find any scientific studies substantiating these claims. But you will find plenty of people who swear by the prevention tactic. So to sum up: I don’t know why they work, but I do know I’ll never head to a cocktail party without them again.